New London police rescued a stranded seal at Ocean Beach Park on Feb. 9, 2019. NEW LONDON — The city had an unusual visitor on Saturday — one who surely gave the local police a hearty seal of approval! 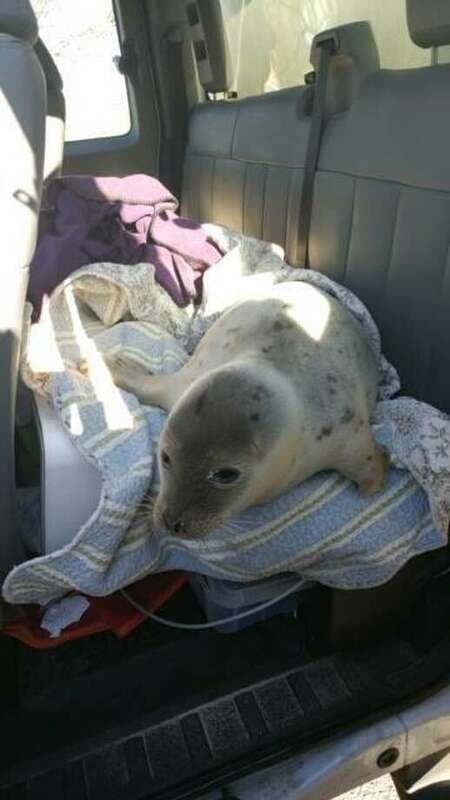 According to the New London Police Department Facebook page, about 1 p.m. Saturday, local animal control responded to Ocean Beach Park for the report of a stranded seal. Upon arriving, animal control officer Kelly Duso located and rescued the baby seal. Police then turned the aquatic mammal over to the Mystic Aquarium for further care.